Paperback, 8 x 10 in. / 96 pgs / 40 color / 20 bw. Edited by Jeffrey Kastner, Sina Najafi and Frances Richard. Essay by Jeffrey Kroessler. 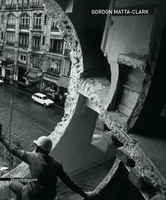 In the summer of 1973, artist Gordon Matta-Clark discovered that the city of New York occasionally auctioned improbably tiny and frequently inaccessible parcels of land created by zoning eccentricities. Fascinated by these spaces, he bought 15 of them (14 in Queens, and one in Staten Island) for between $25 and $75 each, photographed them and collated the photographs with the appropriate deeds and maps. He called the project Fake Estates. 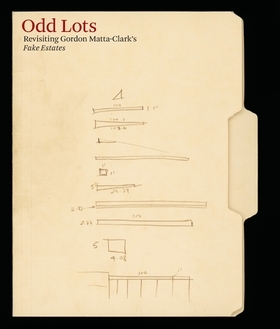 Odd Lots: Revisiting Gordon Matta-Clark's “Fake Estates” further documents and advances this seminal work, and accompanies Cabinet magazine's exhibition at the Queens Museum of Art and White Columns in New York. 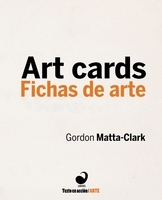 Included here are responses to Matta-Clark's original artwork by 20 contemporary artists including Francis Alÿs, Jimbo Blachly, Mark Dion, Sarah Oppenheimer, Dan Price and Mierle Ukeles. Odd Lots also provides the definitive Fake Estates history, thus adding new dimension to the scholarship on this important artist*all within the spirit of collaboration and experimentation that marked Matta-Clark's short but influential career. FORMAT: Paperback, 8 x 10 in. / 96 pgs / 40 color / 20 b&w. Published by Cabinet Books/The Queens Museum of Art/White Columns.